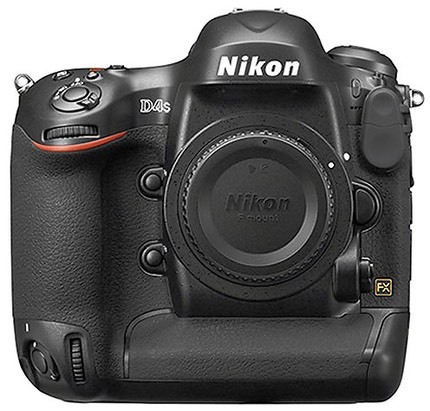 Nikon today announced the already announced D4s camera, the followup tuneup to the D4. Much like Nikon did with the D3, we get a modest mid-cycle iteration that brings a little more performance and a few minor features. Unlike the D3s, there isn't an official change in sensor, though. Instead we get EXPEED4 and some tuning to try to up the ante in image quality a bit. Focus gets performance tweaks, a return of Group AF mode (with 5 points). Focus also is said to be improved in reaction time under all settings. The camera now can focus at 11 fps instead of 10 fps max. Video gains some improvements. 1080P can now be recorded at 60 fps, and this includes uncompressed HDMI. Time-lapse recording now can change the shutter speed in 1/6 stops. The camera can now write both to an internal card and external HDMI simultaneously. Selectable frequency range for audio. Better exposure transitions in time-lapse and interval shooting. Image quality changes are subtle. White balance can be tuned in smaller Kelvin units. The rear LCD's color can be adjusted by the user (previously it could only be adjusted by Nikon service). New Small Raw (2464x1640 uncompressed 12-bit) file format. Other changes: improved battery life via a new EN-EL18a battery (3020 shots CIPA), faster Ethernet speeds (1000 Base-T), expanded ISO range (HI-4 at 409,600), the buffer has been expanded (mainly through throughput improvements from EXPEED4), slightly new hand position and thumb grip, along with a some minor changes to the AF position controls on the back of the camera. What didn't change? Pretty much everything else. The new camera will be available in late March at US$6499. Some pros at the Sochi Winter Olympics used the D4s, so a few early production bodies were out in the wild prior even to the official announcement. Overall, this pro update seems more modest than the D3s update was (the D3s improved sensor abilities by a full stop plus added video capabilities, amongst other smaller changes). There's no "big" feature in the D4s that is going to make you drop your D4 and buy a D4s. Thus, the question is more: is there something that makes you want to drop your D3 or D3s and finally pick up a D4s? My answer would still be no. If the change from 12mp to 16mp didn't grab you, these additional changes aren't going to, either. On the other hand, some pros have regular update cycles on which they purchase (especially organizations, like photojournalism providers). Thus, it is assuring that Nikon continues to do mid-cycle changes on the pro lineup to keep the camera(s) as current as possible. We got a big mid-cycle change in the D1 era (D1h/D1x), minor ones in the D2 era (D2hs, D2xs), another fairly big one in the D3 era (D3s), and now another minor one in the D4 era. Only thing we're missing is the D4x ;~). Indeed, the lack of a D4x is one of the issues that holds folk back from the D4 (and now D4s). The D4 and D4s are awkward for pros because they use a new battery and a new card that is not shared by any other Nikon DSLR. No one really wants to buy into and commit to yet another charger and card reader in their workflow if they can help it, and Nikon's done very little to fix that. It's as if no one at Nikon ever tries to use two of their cameras simultaneously, yet virtually every pro has at least two cameras in his bag at all times. In just the FX realm we now have three different card types, four different batteries and chargers, and two different cabling requirements. Not to mention three different user interfaces. So I once again invoke my request to Nikon: straighten this out, and fast. Thanks for the D4s, but now give us the fully compatible D4x (same battery, same cards, same cables, same UI). Make our backpacks and bags rationalized again. No one likes carrying extra gear, and Nikon's track record of keeping accessories and supplies in stock is abysmal to start with. Every time we get a new battery, it's usually not available to purchase separately the day we get our camera. At some point it goes out of stock for awhile, apparently because Nikon likes keeping zero inventory of accessories around. When third party versions appear, we get firmware updates that invalidate them. Has anyone at Nikon ever thought what the user thinks of all that? Every time Nikon makes one of those missteps, the loyal Nikon DSLR user gets a little less loyal. 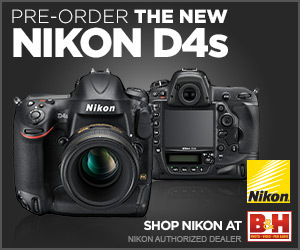 I guess Nikon thinks it's okay because they don't sell a lot of D4's (now D4s's). Even if Nikon continued to make D4 bodies at the 5K/month rate they originally set and sold them all—I strongly doubt they've done either—we'd only have 120,000 D4 bodies in the wild at this point. But those would be 120,000 really strong influencers of brand reputation. Things trickle down folks, and right now the FX pro trickle is "it's a bit of a mess" and the prosumer trickle down is "they haven't updated what I want" and the consumer DX trickle down is "great camera, where are the lenses?" So, again, thanks for the update Nikon. I'm glad to see that we're still getting some attention at the top and that your schedules are staying reasonably predictable. Working pros have to schedule their equipment purchases, after all, and then amortize them over time. But some of the issues the D4 originally raised (battery, card, etc.) are still not addressed in your line up of gear. It's time to fix that, too.